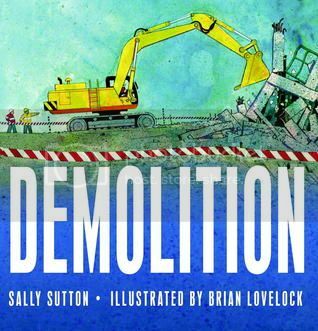 Rhythmic onomatopoeia makes this construction truck story especially appealing. "Sort the steel. Sort the steel. Heave and toss and bang. Metal can be used again. Clink! Clank! Clang!" After the building is taken down, they install a playground. The story is appended with a page of machine facts. I loved the slightly mottled illustrations. This was a real hit at storytime! 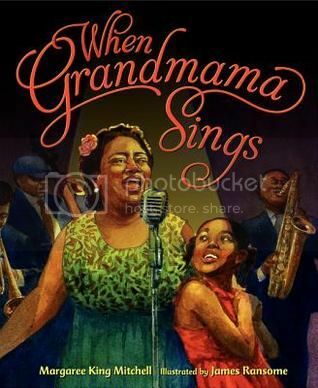 Grandmama, a contemporary of Ella Fitzgerald, travels through the racist, segregated South on a singing tour, as seen though eight-year old Belle's eyes. They face discrimination such as club owners who cheat them on pay for their gigs, difficulty entering the buildings where they are to perform, and even at one point, being forced to take their food from a diner out to their cars to eat. While the characters are fictional, the feel is very realistic. I tried to hunt for information about this band, but they seem to solely an invention of the author. The facade for "The Magnolia Theatre" supposedly in Atlanta, looks vaguely similar to The Fox Theatre. This is a beautiful companion to All the World. "Having a star in your pocket is like having your best rock in your pocket, but different." Gentle, measured tones and hand-lettered font are paired with beautiful water color illustrations featuring multicultural kids. This makes for a wonderful bedtime book. Here's a funny story of friendship between two very different friends. 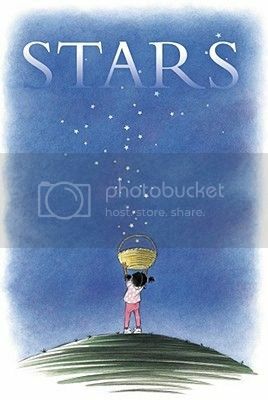 This makes for a great successor to Tomie dePaola's Bill and Pete series. 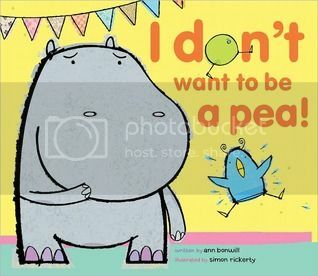 Hugo Hippo and Bella Bird are invited to a costume party - but what to wear? Hugo suggests he'll go as a princess, if Bella goes as a pea. Bella insists she wants to do it the other way around. This leads to quite a fight - and they finally decide to go alone. What a surprise when they both arrive looking like two peas in a pod, proving how suited they are as best friends. Crisp, colorful digital illustrations are easy to see from across a room, making this a great book for sharing at storytime. Oooh, these all look good. I want When Grandmama sings for me, and Demolition for my daughter.